Kolb systems provide for the complete cleaning process. Complete cleaning systems for assembled PCBs. Maintenance cleaning applications for regular and thorough cleaning of machinery parts. Kolb systems for parts cleaning - small footprint, safe, efficient and profitable. 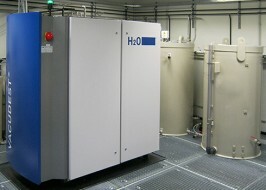 Kolb develops and produces cleaning chemistry specifically for the electronics industry. Kolb water treatment systems help conserve water and save waste disposal costs. Separate clean water from your industrial wastewater, using VACUDEST wastewater evaporators from the manufacturer of the leading Zero Liquid Discharge systems.